In the twenty-first century, being silent, passive, and indifferent is not an option for young people anymore. The active participation of youth in the process of development is now the current trend in setting the global agenda. If you are willing to learn, ready to be empowered, and unafraid to voice-out your opinion and ideas, then the University of Santo Tomas Model ASEAN Meeting (UST-MAM) is the authentic and enjoyable experience you have been waiting for! We live in an era of regional cooperation, and transnational issues. The ASEAN Integration has brought a greater need for us to understand Southeast Asia. Appreciating ASEAN-this is where the UST-MAM is geared towards. For years, the UST-MAM has been serving as an interactive and educational way of promoting ASEAN to people who have an interest in international relations and diplomacy. A Model ASEAN Meeting (MAM) features a simulation of ASEAN meetings and mechanisms catered for a specific group of participants for them to understand the procedures involved before official Statements or Declarations are made at the end of the Meetings. A Model ASEAN Meeting is one of ASEAN’s way of promoting itself to its people, especially to the younger generation. While this hands-on experience aims to introduce the participants to the fundamentals of diplomacy and how decision makers of ASEAN Member States address regional issues, it also aims to develop the participants’ skills in public speaking, communication, teamwork, and leadership. Through the UST-MAM, students can take part in an event that will give them hands-on experience as they attempt to solve real-world issues using the policies and perspectives of their assigned country while following the “ASEAN Way.” It is an interactive process where the students, will role-play an official of an ASEAN country and simulate how one should engage during these meetings. This enables the participating students to not only better understand decisions that their national governments make, but also how these decisions affect policies at the national and regional levels. This 2019, the UST-MAM will be on its 5th year. The event will be held at the University of Santo Tomas. With the theme: ‘Gearing Towards ASEAN 2030: A Societal Mobility and Harmonious Community Through the Region’s Equitable Growth and Inclusive Development’ this year’s simulations are set to take the diplomatic discourse on a new level. Bold initiatives are expected to be undertaken. The chosen delegates have been selected from a pool of applicants which is composed of UST students both in College and Senior High, students from other universities, and international delegates within ASEAN. The participants are tasked to represent their assigned country well and are encouraged to participate actively by proposing feasible solutions and engaging in a substantial discourse with one another. The UST Model ASEAN Meeting is part of the annual week-long event spearheaded by the Asian Studies Society known as, One With ASEAN. The event entails to a series of projects namely the Model ASEAN Meeting, Cultural Exposition, and Community Development Program. The Cultural Exposition features the booths of the 10 ASEAN Member States together with the ASEAN+3 Dialogue Partners. It involves a cultural presentation, live exhibit, games and activities. Furthermore, the event entails to a Community Development program which aims to raise awareness on ASEAN to the partnered communities of the Asian Studies Society. This year, the One With ASEAN event will be held on January 29-February 1, 2019. Be a part of something big as ASEAN continues to make its rise! Support the UST-Model ASEAN Meeting 2019 by following its official social media accounts: Like our Facebook page: facebook.com/ustmam2019, follow our Twitter account: Twitter.com/USTModelASEAN, or send us an email: ustonewithasean@­gmail.com. 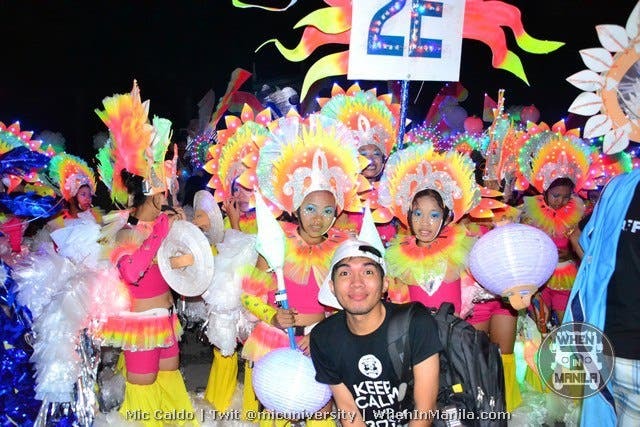 “Bailes de Luces” / Festival of Lights in La Castellana, Negros Occidental: Seeing through a Community Culture & Celebration! Queen of Hearts: A Post Valentines day Celebration for Women who love Women!